Since 1995 we have removed large trees in all situations. We ensure it is done safely and with minimal impact to you and your property. Trees come in all shapes and sizes and sometimes they can reach substantial size depending on the species and age. This can be a great asset to the property but it can also be a nuisance. Because these trees are typically older you want to be sure that all other options have been considered before making the decision to remove them. It could take several decades to replace old trees and some may be even older than that. They have become too large for the space they are growing in. They are causing structural damage to buildings and structures. They have become unstable and need to be removed for safety reasons. They may be in poor health. They pose a safety risk. 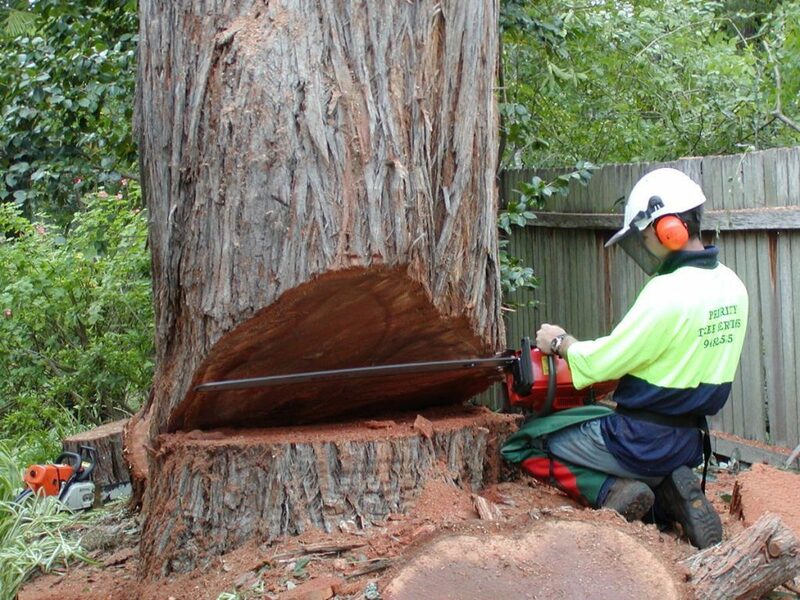 No matter what the reason removing large trees, you want to ensure that you select a suitable firm to carry out this work. Since 1995 we have removed large trees in all situations and have solutions to ensure that it not only is it done safely but also with minimal impact and disruption to you and your property. If you have a large tree and want to ensure that it is removed without causing damage and carried out safely why not give us a call and have one of consultants assess your situation and show you how we can also help you. Call us today to get quote or to arrange for one of our consultants to assess your trees.